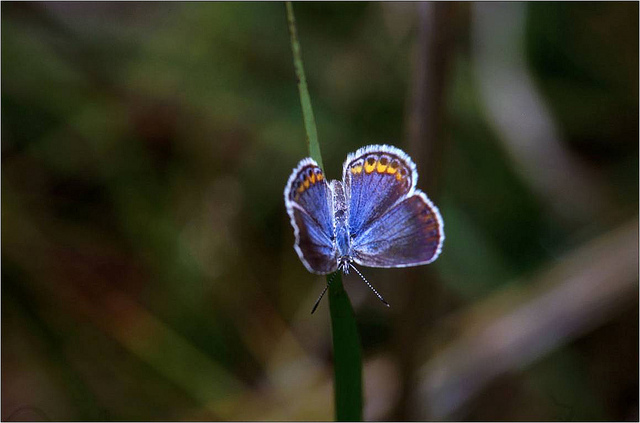 Michigan has been the hotbed of the endangered Karner blue butterfly. It even donates their eggs to areas where they are especially rare. But now a changing climate threatens them, even in Michigan. State and federal agencies have put the blue bug at the forefront of adaptive management and conservation efforts across the Great Lakes. The tiny one-inch butterfly has a big impact on the conservation of species threatened or endangered by climate change, said Christopher Hoving, state specialist on climate adaptation for the Wildlife Division of the Michigan Department of Natural Resources. It occupies parts of Wisconsin, Michigan, Ohio, New York and New Hampshire, he said. There are limited populations in Minnesota and Indiana. But Michigan and Wisconsin have most of them. One of the largest populations is found in southern Michigan’s Allegan State Game Area. It is so productive that experts have moved butterflies found there to other places, including a successful reintroduction in Toledo in 1998. Now, a series of dry winters, hot summers and inconsistent precipitation has Michigan Karner blue numbers down. Scientists also say that the butterflies in the southernmost range are following trends toward local extinction. Only a few were seen last year in Indiana, said Hoving. And after Minnesota reported low numbers the past four or five years, they could soon be gone for good from that state. With the Indiana population on the edge, conservationists look to Michigan, which has successfully donated Karner blue eggs in the past. It’s not just climate change. 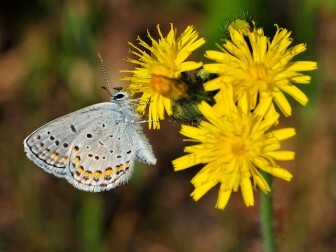 The non-migratory Karner blue rely on an extremely limited habitat once common to Michigan. Termed oak savanna, it’s a cross between a prairie and a forest. The park-like atmosphere caters to diverse plants, including grasses and wildflowers, like wild lupine — the Karner’s sole food source. But butterflies are not the only ones to prefer oak savanna. Cities sprawl over much of Michigan’s savanna, including Grand Rapids, Kalamazoo, Battle Creek and Jackson. Once people started fighting forest fires, the habitat “very rapidly turned to oak forest, ” said Hoving. “By at least one measure, these temperate savannas are the most imperiled biome in the world, the most converted and least protected ecosystem type,” he said. As Karner blue butterflies are forced into small fragmented habitats, scientists focused on restoring them. Conservationists cut oak trees, remove invasive species and periodically burn the land to return it to a more natural state. The Karner blue is the poster child for Michigan savanna restoration, but the same work helps bring back a number of state threatened and endangered plants, Hoving said. 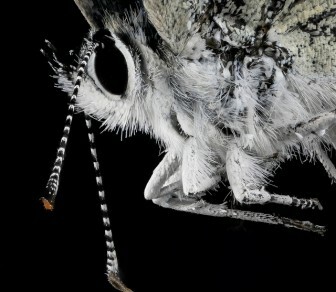 Now it’s climate change that is creating additional pressure on the insect. Some scientists question what management strategies will work in the face of that problem. Abnormal seasonal weather heightens the threats to the butterfly. Temperature shifts, even within one year, affect the timing of plant or animal life cycles, said Ralph Grundel, a research ecologist with the U.S. Geological Survey. 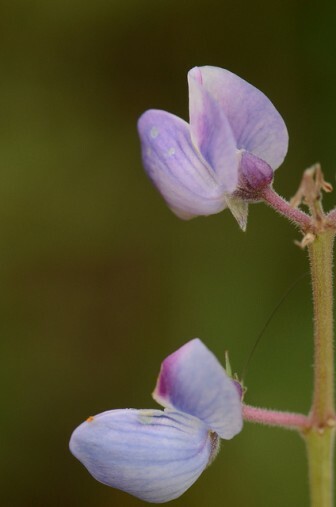 For the Karner blue, this means an even more limited supply of wild lupine. If the first wave, or “brood,” of butterflies hatch before the lupine sprouts, they may not have anything to eat. If the second brood hatches late, the lupine will have already wilted. “They’re the pilot species, the test case for how to do conservation work for other climate-vulnerable species,” Hoving said. Karner blue are vulnerable to climate extremes, “the kind of thing you happen to expect more with climate change,” said Jessica Hellmann, lead investigator for the Climate Change Adaptation Program at the University of Notre Dame. Climate impacts on species are most visible in their southern range, but “the Karner blue butterfly has only a 100-mile range north to south, so the impacts are seen throughout,” Hoving said. “Impacts are seen in the southern Indiana Dunes and other sites further north, including big declines in the southernmost Allegan State Game Area populations and moderate declines in the mid-Michigan, Baldwin-Newaygo area,” he said. How aggressive should conservationists be? Because traditional conservation methods, like habitat restoration, have varying degrees of success, scientists are seeking new approaches. Donating eggs from an area with plenty of butterflies is the main alternative, but it comes with a few caveats. “There’s no record of the butterflies traveling more than one-mile for a patch of savanna,” said Hoving. As a result, scientists consider each local population distinct. Traditionally, they seek to preserve that distinctiveness. But with mating success down, many local Karner populations rely on only a few butterflies to bolster the colony. “In many cases they are functionally extinct,” said Hellmann. To avoid polluting the populations’ distinctiveness, scientists in Michigan wait to introduce new Karner blues until there are none remaining in an area. That may happen in Minnesota now that the population is believed to be gone. But the butterflies in Minnesota and Indiana have one key difference. Karner blues in Minnesota, like those in Wisconsin, are infected with Wolbachia, one of the world’s most common reproductive parasites. The microbe affects the sexual organs of most insect species, making them unable to mate successfully with uninfected individuals, said Hoving. The Karner blues without Wolbachia east of Lake Michigan are unable to reproduce with those that are west of it. “Mixing the two populations, those with and without Wolbachia, can really depress the Karner population,” said Hoving. The hope is to recolonize the Karner blue in Minnesota and Indiana, realizing limitations — habitat, food source and reproductive capability — and addressing the effects of climate on local populations, said Hellmann. But whether Michigan will donate is up for debate, Hoving said. Decisions depend on Karner numbers seen from this year to next. Funding for the conservation of the Karner blue in Michigan comes from the nongame fund, a small fund supported largely from loon license plate sales.